Lie on back, straight arms at sides. Legs at table top, 90 degree angle. Straighten legs to ceiling, lift legs up and over toward floor overhead, use bent arms as prop to hold hips up. Scissors first: Keeping legs straight separate them, left forward, right back, then switch. Continue to switch for 5x. Inhale left, exhale right. Reverse breathing 5x. Inhale right, exhale left. Bicycle next: From scissor, right leg toward chest bend the knee and straighten away from chest while left leg lifts up straight. 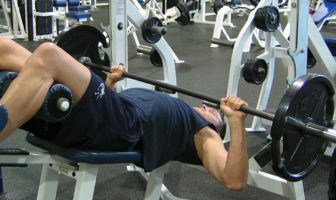 When left leg gets to chest it bends and straightens away from chest as the right leg did, keep repeating, 8x each leg. This creates a circular motion forward. Now reverse legs, bicycling backward 8x.